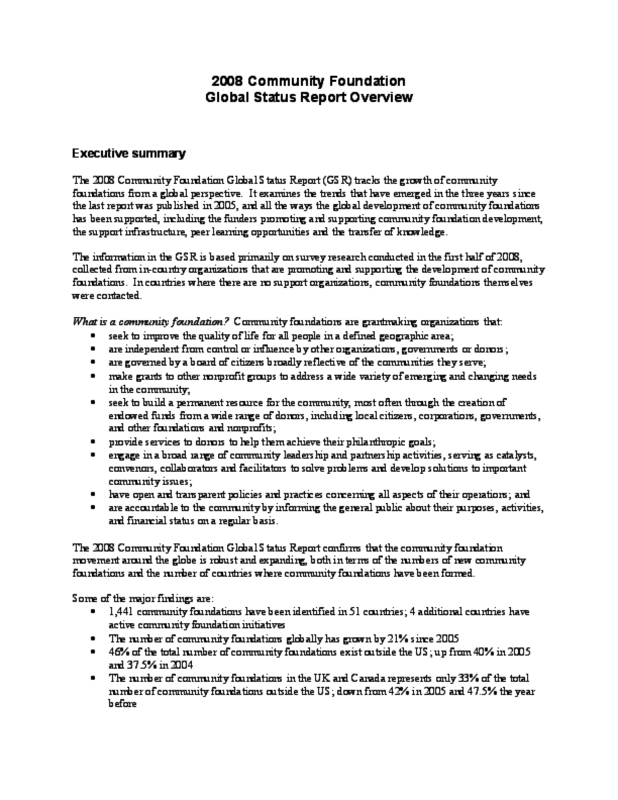 Between 2000 and 2008, first the Council on Foundations (the first "home" to the WINGS Secretariat) and then WINGS itself published a series of reports on the growth and vitality of community foundations around the globe. In each case the lead researcher and author was Eleanor W. Sacks, who in turn was supported in her work by a global advisory group and WINGS Secretariat staff. We are grateful to Eleanor and the participants in the WINGS-Community Foundation network who helped to shape and inform the first decade of the report's life. Available to download: full summary report for 2008, including brief country status reports.